Fiber optics are used in more and more applications these days. In the medical, defence and data storage industries, fiber optic cable is being included in an ever-widening range of products and solutions. But, for all this, fiber remains a fragile material. The fiber inside a cable can be stressed, cracked or severed during installation or use. It can also be damaged if the bend radius of the cable is exceeded or if exposed to extreme temperatures. 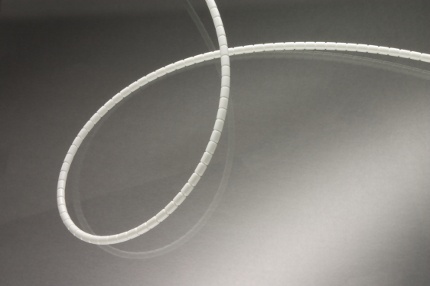 The Miniflex® range of fiber protection tubing has been designed to address these challenges. It hits the sweet spot for toughness, flexibility and size. 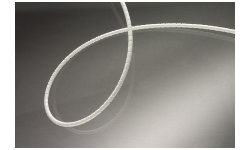 The Miniflex® Protection Tube is half the diameter of other products on the market – between 3mm and 5mm depending on requirements. This results in less congestion in duct and riser, and greater return on investment from cable raceway and containment. Because of its compactness and the cutting edge material we make it from, the Miniflex® protection tube is a fraction of the weight of competing products. 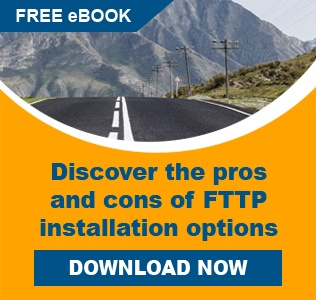 This means less force is required when installing, which minimizes potential fiber damage and disruption to other services. 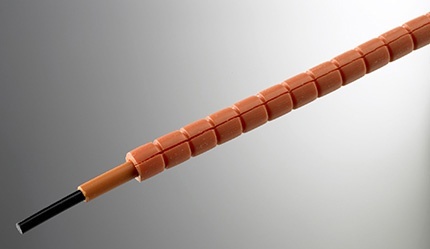 And it can be supplied with a lengthwise slit, allowing users to "zip" their existing fiber cables into new protective Miniflex ones. Even though it is light and compact it still provides outstanding fiber protection, offering up to 1400N of crush resistance as well as being flame retardant, low smoke, zero halogen (LSZH) and UV stabilized. To do this we manufacture our protection tube with tough engineering polymers, some of which are used in car bumpers, making it tough enough to be squeezed into populated conduit, or installed in the harshest of industrial conditions. But, while providing protection, hard plastic is not particularly flexible, being rigid and prone to kinking. We have overcome this by developing a live-hinge grooved sheath, the only fiber protection tube in the world to have this feature. The live-hinge eliminates kinks and allows the tube to be bent and twisted during installation and usage without damaging the fiber inside. Supplied in reels or cut lengths and with or without a length-wise slit, Miniflex Fiber Protection tube can be deployed in multiple industries.